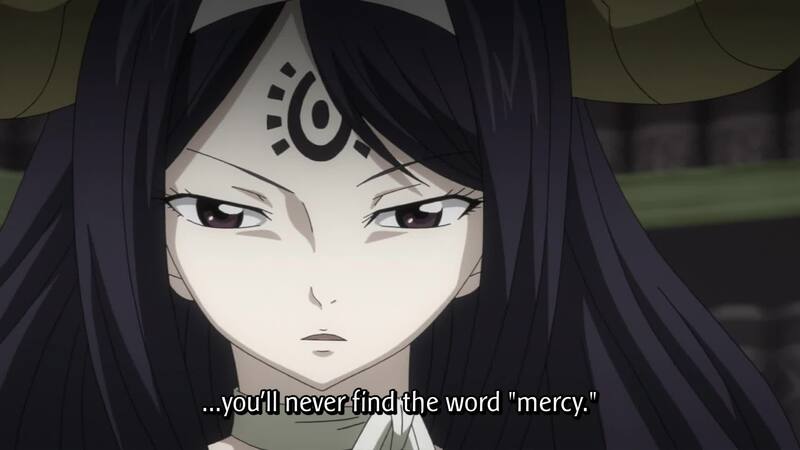 Let’s Look: Fairy Tail 2nd Series Episode 36: I Watch The Bad Filler So You Don’t Have To! Please noo! Please start the Sun Village and the Tartarus Arc! This is just..why?! So the episode starts off with Levy and Capricorn’s quiz show. It’s some really pointless question about Nab’s last name. Fools he has no last name! She gets it wrong so she gets the penalty. Then we switch over to Natsu and Wendy and they’re still trying to get to Loke. Cana beats Scorpio in a children’s card game and seals his gate. Then we go to Lucy vs. Virgo. Virgo tickles Lucy as a form of torture. Not really all that evil but is very good fanservice. Then we get to the horror of this episode, Grey vs. Cancer’s dance battle. I can’t do this! I’m going to be very general. This was a really funny but not very interesting episode. Grey gets into a dance battle with Cancer. Then Grey channels the will of 70s and Disco and gets all ownage on Cancer. All while Grey and Cancer are doing their Dance Dance Revolution thing, Juvia keeps looking around thinking she’s missing something good. Then we switch over to Natsu and Wendy where they find a secret chamber which causes a thirteenth door to form where Princess Hisui and Arcadios are. They decide that it’s their time to help out and go through it. 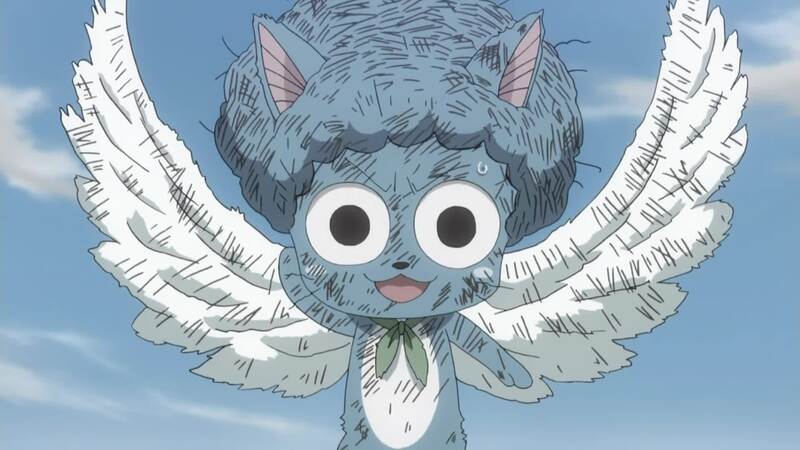 Hmm…I’m going to give Fairy Tail 2nd Series Episode 36 a 2 out of 10. It’s just well bad. I’m really shocked that this filler is going so bad. It started off really good but at the end it reminds me of the entire year of Naruto fillers between the Sasuke Retrieval Arc and the beginning of Part II. It’s the filler that you wish would end as fast as possible so we can get back to the good stuff. Personally I have some interest in the next episode since Juvia’s around. Let’s hope that’s good. I used to think this filler arc was good but then Fairy Tail took an arrow to the knee. So I originally planned for these to be separate but you know life be catching up with you so this time let’s make it a double! It’s sad that I’m comfortable of this. It’s exactly out it sounds. Loli Aquarius faces down against Wendy and Carla. However the fight it isn’t all that good. It’s basically not very serious. It’s Aquarius firing off a few shots from her urn then playing around with Wendy. Then firing off a few play shots again. It’s not really all that interesting in my personal opinion. However despite the fact that it isn’t a very interesting fight it is so freaking cute damnnit! 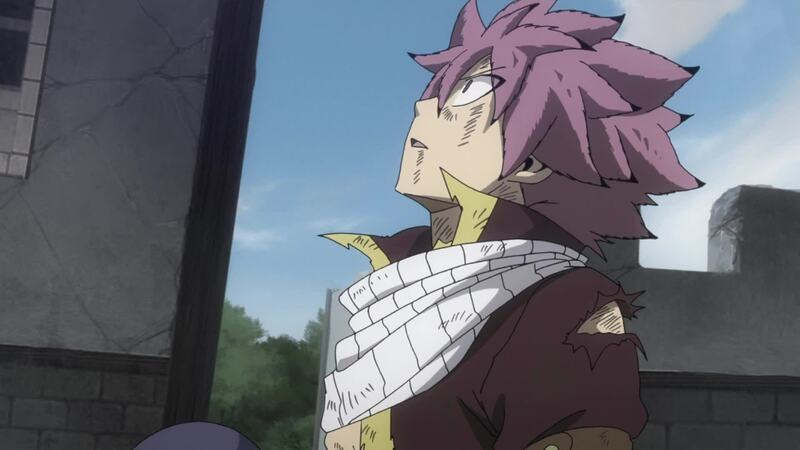 The episode also has some filler stuff with Natsu getting owned by Loke and Lucy fighting against Virgo but it is a very little bit of the episode. The episode ends with Wendy sealing Aquarius’s gate after Aquarius had a fun day playing and eating ice cream with Wendy and Carla. 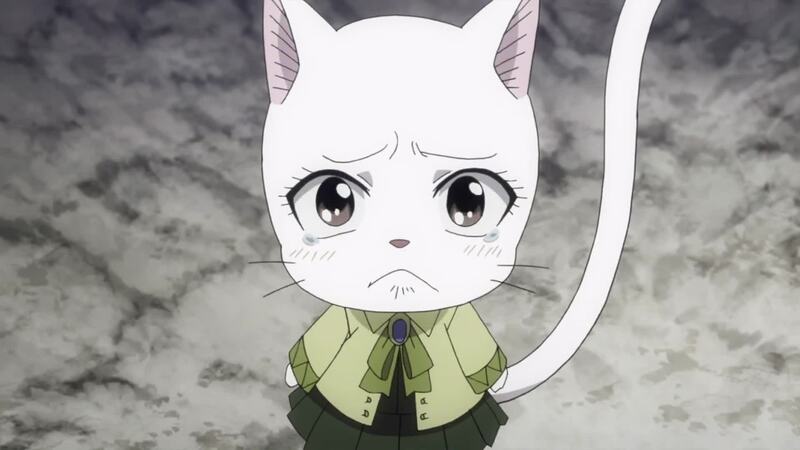 I give Fairy Tail 2nd Series Episode 34 3 out of 10 for poor plot and all it being was loli cuteness! Damn it this is a Shonen show give me some battles to the dead man! 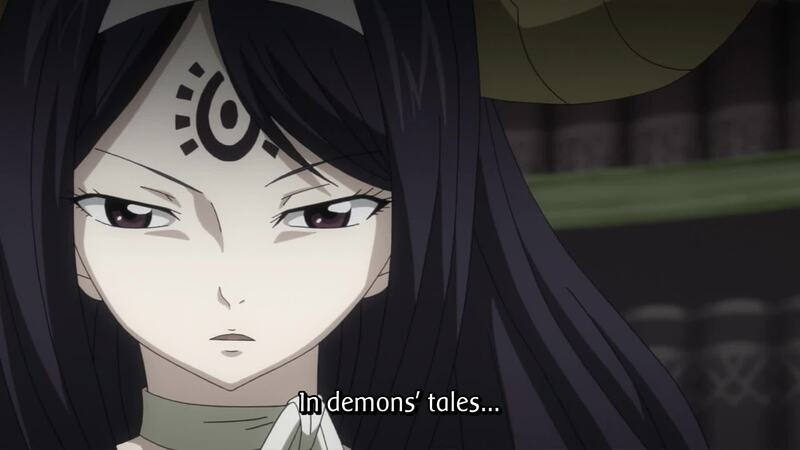 Just…Fairy Tail 2nd Series Episode 35…why Anime Gods why! Why are you crapping on a good show?! I’d say that this episode was good but it’d be a blatant and disgusting lie. It’s pretty much a rip off and a snark at probably the entire Yu-Gi-Oh franchise. The rules aren’t clearly explained…just like in the Yu-gi-Oh anime. They pull cards mostly literally out of their butts. 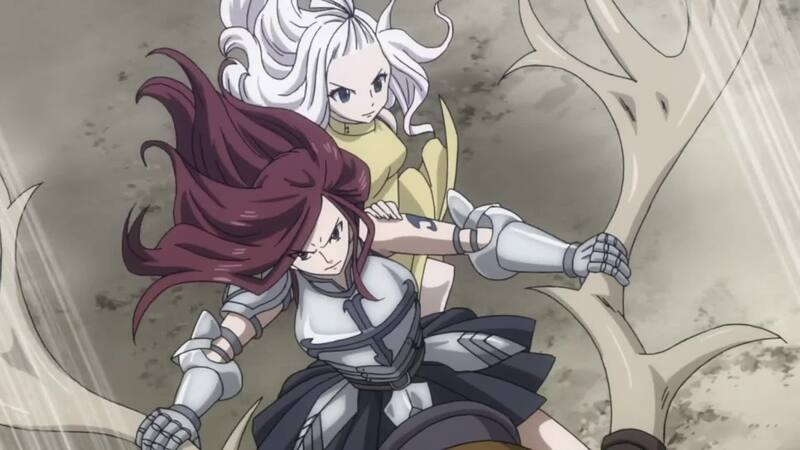 Oh and Mirajane defeats Pisces and the battle between Levy and Capricorn begins. And that’s it. If you didn’t watch this episode, don’t worry you didn’t miss anything. I’m giving Fairy Tail 2nd Series Episode 35 1 out of 10. Be grateful for that. All in all, the first one was okay but the second episode was absolutely horrible. 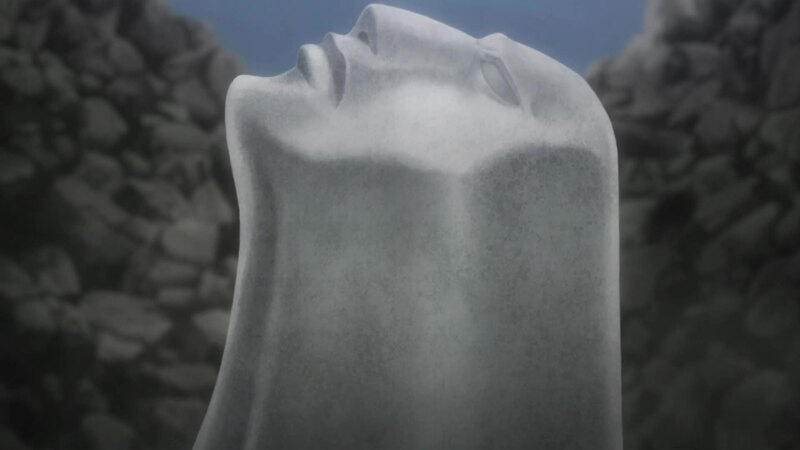 And based on the preview for the next episode, looks like it’s going to follow its footsteps. Seriously Gray in a dance contest? Really? I hope that things might be turning around next week but I’m doubting it.